The SSC or the 10th standard examination is a turning point in the lives of Indian children because it is the first time they have to make a choice in their life. A little career guidance is necessary to find out the apt course for a child. This article will help you to know more about the courses available in India and career options in each. It also explains how and why to choose a particular course. SSC is a major step in the career of any child. SSC has become a stress topic among Indian parents because it is the first step in the life of a child where an important choice needs to be made for the first time. The course that he/she selects to study for Higher Secondary may prove decisive in determining the career as well as the life of the child. What are the things to be born in mind before you let your child make this important decision? What are the aspects to be considered? How can you find out the apt choice for your child? Read more of this article to find out. 1. Science Group: Physics, Chemistry, Biology, and Mathematics are some of the major disciplines in this category. This choice is apt for professions like medicine, civil engineering, electronic and mechanical engineering, teaching in science subjects, research in science subjects as well as for specialised fields like microbiology. 2. Computer Science Group: In some states, this is a part of the science group. But in some states like Kerala, Computer Science is distinguished from Biology Science. This group is the choice for IT related careers. 3. Humanities: Humanities include those disciplines that study about human and social behaviour. This group is the choice for fields like Civil Service, Government Jobs, Social Service, Journalism etc. 4. Home Science: Home Science teaches disciplines that are related to home and lifestyle. This has a large number of career options like hotel management, dietician, physical trainers, cosmetology and beauty etc. 5. Commerce: Commerce group deals with business, management, accounting, banking etc. MBA based careers, accounting etc are some possibilities in Commerce. It is the child who is going to live his/her career, not the parents. Hence never try to interfere with the child`s choice as long as you are sure his/her choice is heartfelt. But if your child is making a choice based on some recent craze that has caught up with him/her, you may suggest your opinions. Because in such cases, most likely the child will lose the interest in the subject sooner and they will start hating it. 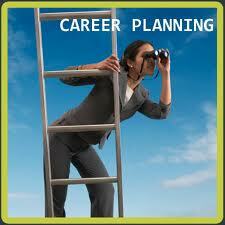 Similarly you have to consider whether your child is able to pursue the career goal he/she aspires. If the child has only a below average IQ, asking him/her to come with a rank in Civil Service may well be the last thing you may do. Instead, calmly tell the child that this is the right choice for him/her. Take care you do not disappoint them with harsh words. First of all, you have to find out the subject in which the child has interest. You can find this out easily. Find out the subject in which they are good, they spend more time and they enjoy studying. You may not depend upon the marks only. There are many children who study a subject and come with good marks simply because they have to do it. It may not be necessary that they love it. Secondly, check whether the child is able to study that subject. If your child enjoys studying English, but yet can`t bring good marks in it, it means that he/she is inherently weak in the subject. It is even possible that the child`s interest in the subject may arise from the feeling that he/she may not be able to perform well in it. Letting him/her study it only will ruin their career. Similarly some children won`t be physically fit to study some subjects. There are children who faint at the sight of blood even if they love Biology. Asking them to be a surgeon won`t do well. Instead, you can make such a child a specialist in some other fields of medicine which does not have to deal with blood. If you find a subject your child has interest in and ability to study, then that is the apt choice for your child. Even if it has not much high-paying career options available, don`t mind. Because he/she will perform the best in that subject and it won`t be difficult to find a good job if they are potential.